No matter how independent or tough you may be, a motorcycle accident can have life-changing consequences for both you and your family. Even if you have planned ahead, your ability to earn a living and provide may be placed in serious jeopardy. Meanwhile, the stack of medical bills is likely to continue accumulating. In this situation, it is important that you not try to “go it alone” against the other driver’s insurance company. You should have an advocate on your side aware of traps inherent in any personal injury claim. The Raleigh motorcycle accident attorneys of Maginnis Law can assist you through the tough process of making an injury claim. The process begins by evaluating the nature of your monetary and non-monetary damages. The reasonable value of any motorcycle accident claim is based upon what a jury would likely award you if the claim could not be settled with insurance company. In North Carolina, a personal injury claim analysis begins by taking a look at your “special damages.” These include medical, pharmaceutical, and rehabilitation charges. Depending upon whether you were hospitalized and/or received surgical treatment, your bills could be in the tens of thousands of dollars. Importantly, you are not limited to recovering your personal out-of-pocket expenditures. For accidents after October 1, 2011, you are entitled to receive as damages all amounts actually paid to satisfy a bill, even if paid by your own insurance company, Medicaid, or some other source. You are also able to recover damages for “diminished earning capacity.” This element includes recovery of any lost wages and any future loss of wage earning capacity. For larger claims, Maginnis Law can assist you by retaining an economist to evaluate future earning losses. After considering your “special damages,” you should also be prepared to fight for fair damages relative to your physical, mental, and emotional pain and suffering. In this regard, many personal injury clients, particularly independent minded motorcyclists, do not want to “over reach” or seem greedy. This is often not a problem as insurance companies rarely offer anything near fair value for the physical and emotional trauma caused by serious motorcycle accidents. Putting the insurance company’s “feet to the fire” by filing a law suit and litigating your claim may be the only way to receive anything near a fair offer. If all else fails, the jury gets to decide what is reasonable. In that regard, the personal injury litigation attorneys of Maginnis Law can help. Our firm is familiar with courts in the Wake County area. We litigate matters on a weekly basis and, if necessary, will file suit on your behalf against the negligent driver that caused your injuries. We’ll fight for you to hold him or her and their insurance company responsible. Our attorneys will also help you determine whether there are additional sources of insurance funds available, such as Underinsured Motorist Coverage or additional liability policies under which the driver of the other vehicle is insured. 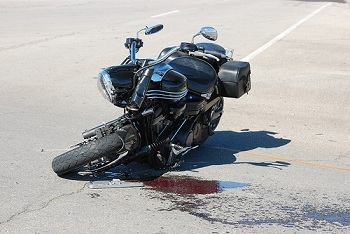 To speak with a Wake County motorcycle accident lawyer, call Maginnis Law today. Associate Shawn Howard can be reached directly at 919.480.8526. Unlike some firms, you will not be screened through a series of paralegals. You will immediately speak with an attorney capable of evaluating and discussing your claim. In office and telephone consultations are provided free of charge. As with most other North Carolina personal injury firms, we accept motorcycle accident claims on a contingency basis. This means we do not charge you any fee unless and until we make a recovery on your behalf. Maginnis Law represents personal injury clients in and around eastern and middle North Carolina, including Raleigh, Durham, Cary, Chapel Hill, Fayetteville, Greensboro, Apex, and Greenville. You may submit a confidential email inquiry using our contact page.